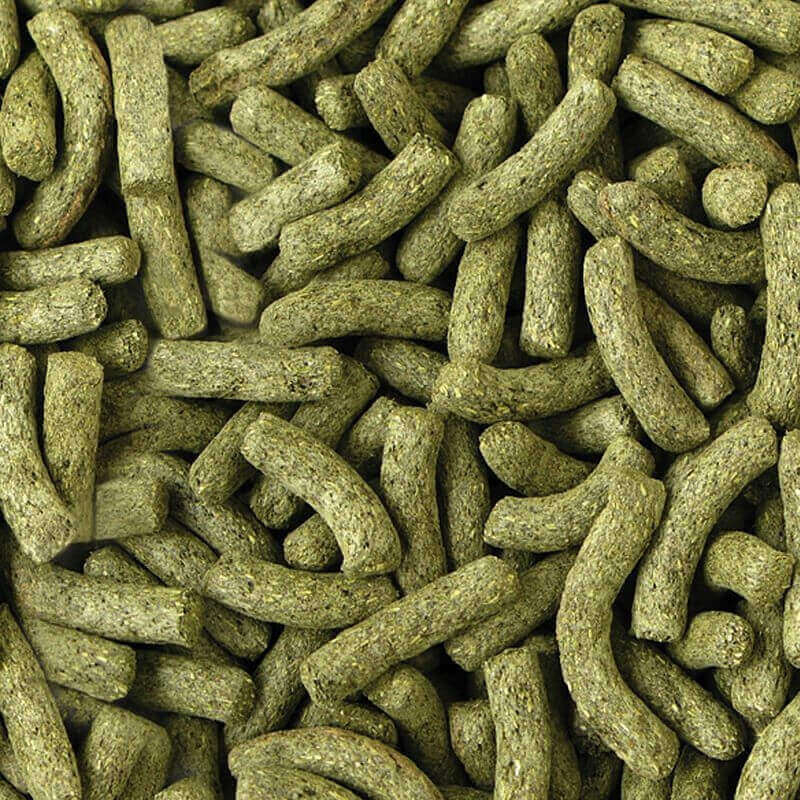 Vets believe that high fibre is most important when recommending a rabbit food*. Wild rabbits mainly eat grass, which naturally contains 20-25% fibre and rabbits’ teeth and digestive systems have evolved to need a high fibre diet. 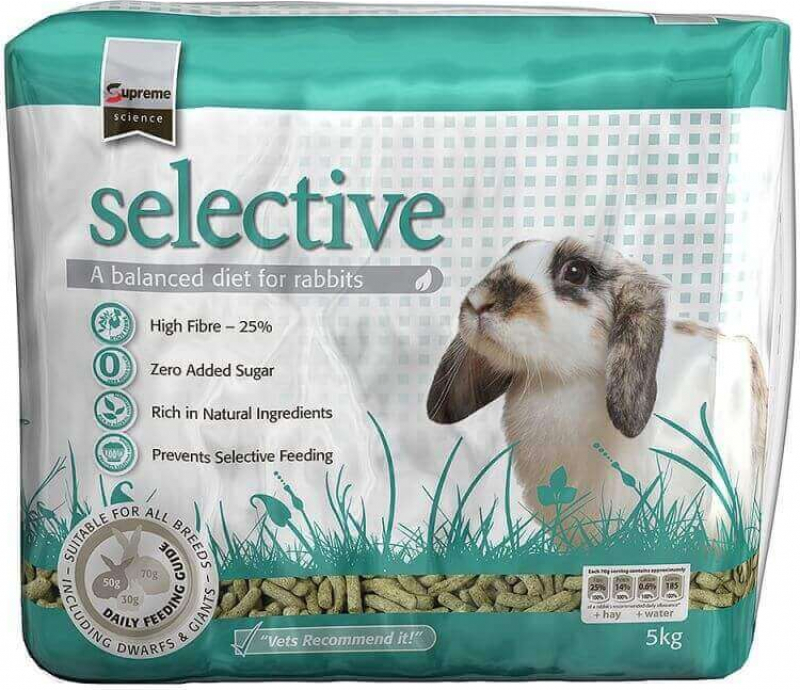 Supreme Science Selective has 25% fibre so you can provide your rabbits with a high fibre, tasty diet that will help to keep your pets in the very best of health, naturally. Do you have mature rabbits that are aged four years plus? Have you considered that they may have specific nutritional requirements? 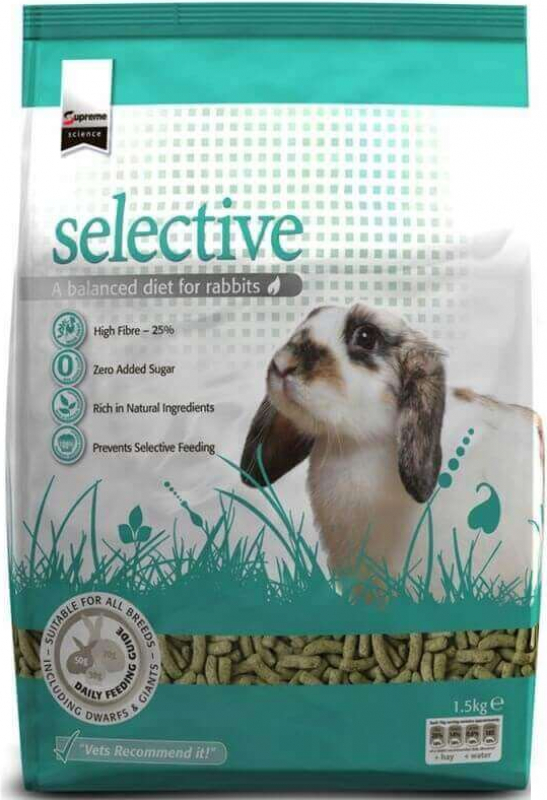 Selective Rabbit 4-years+ offers a diet that is specifically tailored to support the nutritional needs of older rabbits that are less active, and is blended with the finest quality Timothy Hay. It contains tasty herbs that are packed with natural antioxidants, to help maintain the appetite and to help keep your mature rabbits happy and healthy. Find out more about Selective 4-Years+ here. Do you have young rabbits aged around 4-20 weeks, or a pregnant/lactating doe? Have you thought about their special nutritional needs? Selective Rabbit Junior is specially formulated to support the nutritional needs of young rabbits and pregnant/lactating does. It contains extra protein to help support growth and development. In addition, Selective Rabbit Junior is fortified with a blend of amino acids, vitamins and herbs to provide a natural source of antioxidants, helping to give rabbits a great start in life. Alfalfa meal, soy bean hulls, wheat, wheat feed, flaked peas, linseed, beet pulp, soy bean meal, soya oil, mono-calcium phosphate, calcium carbonate.